The Alabama State Senate is composed of 35 Senators, in keeping with Article IV, Section 50, of the Constitution, which limits the House of Representatives at 105 members, and the Senate at 35, and with Article IX, Sections 197 and 198, which establishes membership in the Senate at not less than one-fourth, nor more than one-third, the total membership of the House of Representatives, and allows for additional representation in the event new counties are created. 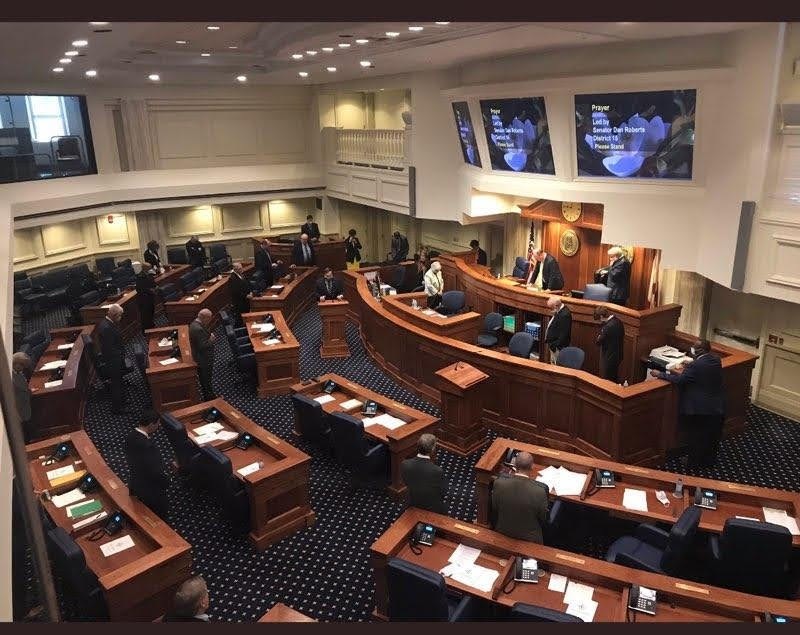 Thus, the Alabama Senate is precisely one-third the size of the House of Representatives, and each Senator represents a district of approximately 137,000 Alabamians. Senators, as well as Members of the House of Representatives, are elected for four-year terms, and take office at midnight of the day of their election. Amendment 97, to the Constitution, provides that should a vacancy occur in either house of the Legislature, the governor is required to call a special election to fill such vacancy. Like the United States Senate, the Alabama Senate has sole power of Confirmation of certain appointees designated by the Constitution and by statute. The legislative antecedent of this role is a similar power vested in the Roman Senate, during the period of the Republic.